Commercial spaces need air conditioners just as much as residential spaces do. Indeed, they often have greater need for it since most of us spend our days in commercial spaces instead of our homes. 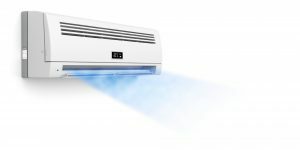 In addition to cooling a larger space, commercial air conditioners have specific needs that they must meet – such as keeping computer systems and other important components from getting too hot – and they must perform without fail day in and day out. Otherwise, your entire business could come screeching to a halt. 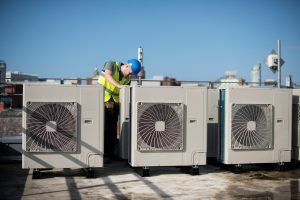 Summers are too hot and humid in our part of the world to go without proper air conditioning in your home, and while most homes are accustomed to traditional centralized air conditioning systems, they’re not the only type of system out there. Ductless mini-split systems provide a viable alternative for homes that can support a centralized system, or homes whose older centralized system just isn’t doing the job. What are ductless mini-split systems and what kind of advantages do they provide? Read on for the answers.